Distinguishing Characteristics Caucasian female. Brown hair, brown eyes. Karen has a scar on her upper lip and a scar on her left knee. 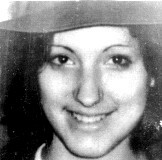 Karen was last seen in Cornelius, Oregon on May 26, 1977. Authorities believe she left with Rodney Grissom, who disappeared two days before she did. The pair reportedly planned to hitchhike to California. Neither of them have been heard from again. Later on, some items relating to the two teenagers were found off a logging road in Washington County, Oregon. Few details are available in their cases, but foul play is suspected. Updated 1 time since October 12, 2004. Last updated June 27, 2012; casefile added.